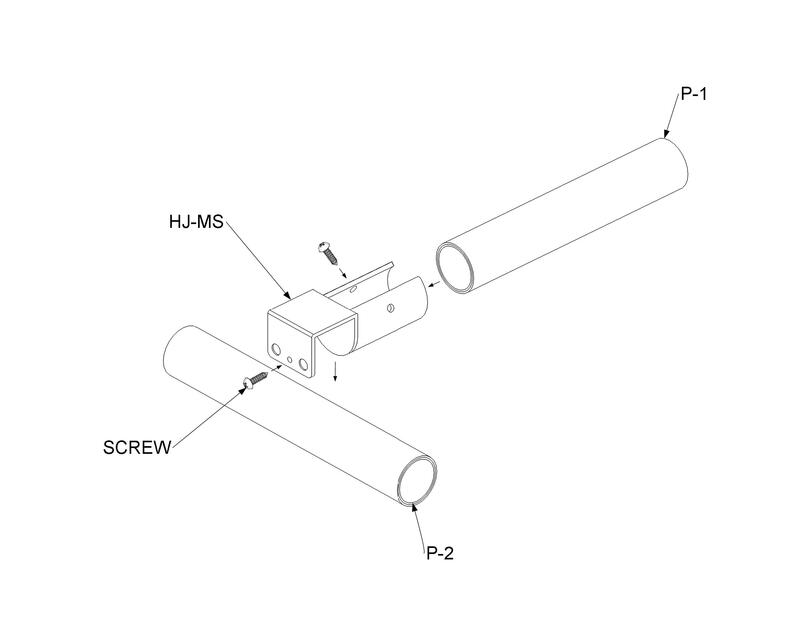 The HJ-MS is a metal single connector used to create sliding pipes. This accessory works best with the HJ-DS, and together they make it possible to create angled pipes that let you slide all sorts of bins, boxes, and surfaces. When building a sliding pipe, this part is usually positioned at the beginning of the slope or at the highest point of the slope. The sliding pipe is a technique frequently used if you don't want to use conveyors or if you want to build a particular type of extension for a conveyor track. The HJ-MS is also used to make the movable hook. Used with an HJ-12, you can assemble a moving arm with a hook at the end. This accessory can be secured quickly with two F-A85/8 screws. The HJ-MS is so named because it was previously considered an all-in-one black joint set. Since it was named, the HJ-MS has become more of an accessory, and we have changed its black coating to the antistatic nickel-plated treatment. So now you can use this connector to make sliding pipes on ESD structures. 3-Hang the HJ-MS on the P2 pipe.